Looking for a Central Govt Jobs? Don’t worry, get ready to apply for Latest Railway Jobs in India. Railway Recruitment Board (RRB) is going to announce Assistant Loco Pilot (ALP) & Technician Recruitments under various zones region-wise across India. Loco pilot is a designation of an employee who is given the job of operating a train for its complete journey or a part of it whereas Grade 3 Technicians ensure the quality and safety of crossing signal systems, tracks, bridges and rail-beds. They also use mechanical tools and diagnostic computers to evaluate more modern locomotive equipment. Look down for RRB ALP & Technician Recruitment 2019 Notification Details regarding How to apply vacancies of RRB Assistant Loco Pilot & Grade III Technicians according to region. Loco Pilots & Grade III Technicians play a crucial role in railway department and these departments are backbone of Indian Railways. Railway Recruitment Board is going to announce recruitment for Assistant Loco Pilot & Grade 3 Technicians posts across India region-wise which include Bangalore, Bhopal, Bhubaneswar, Bilaspur, Ajmer, Allahabad, Ahmedabad, Chennai, Chandigarh, Guwahati, Gorakhpur, Kolkata, Jammu and Sri Nagar, Malda, Mumbai, Muzaffarpur, Patna, Ranchi, Secunderabad, and Thiruvananthapuram. RRB ALP & Technician Recruitment Notification is expected to release in the month of January 2019. 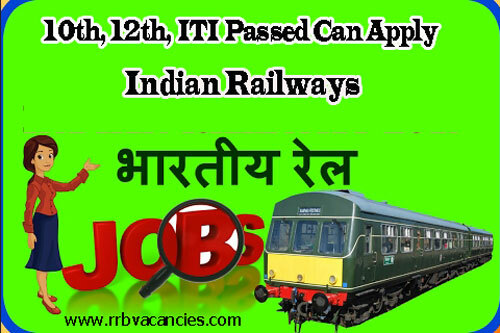 So guys, get ready to prepare & attain RRB Jobs under these posts under Indian Railways. Visit this site for more information and updates. Latest Updates: The Upcoming RRB Jobs 2019 for Assistant Loco Pilot and Technician Grade III is expected to release in the month of February 2019. The RRB ALP 2019 Application Form will be released on Feb 2019. Eligibility criteria comprises of two aspects viz. age & education. Let’s look for eligibility criteria under these two aspects. The age of the applicant should be in between 18 to 30 years old. General, OBC candidates will get relaxation of 3 years and SC / ST candidates will get relaxation of 5 years in upper age limit. Should qualify in their SSC & 12th examination under a recognized Board/ University. Should complete ITI or Diploma (NCVT/SCVT) under a recognized Board/Institution. Selection process for the recruitment of Assistant Loco Pilot & Grade III Technician comprises of 4 stages viz. Computer Based Test, Aptitude/Skill Test, Medical Test & Personal Interview along with Document Verification. Applicants who are selected for the posts of Asst. Loco Pilot & Grade III Technicians will receive fixed remuneration and allowances per month as per the Government norms/orders. The expected pay scale for those posts are Rs.5, 200/- to Rs.20, 200/- along with the grade pay of Rs.1, 900/-. Eligible & Interested candidates can start the filling process of RRB ALP Technician Application Form 2019. Soon after the official notification release, Direct Apply Online link will be available here. All applicants can follow the Online Apply steps carefully through the below sections. How to Apply RRB ALP Jobs? 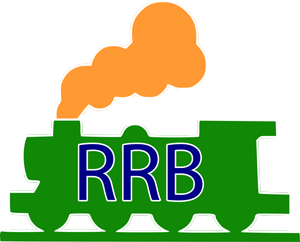 Visit the official website of particular RRB Zone. Read the official RRB ALP Notification carefully. Hit on Apply Online for RRB ALP & Technician posts. Now, fill required details in RRB ALP Application Form. Click on Submit icon and pay application fees. 2.5 How to Apply RRB ALP Jobs?